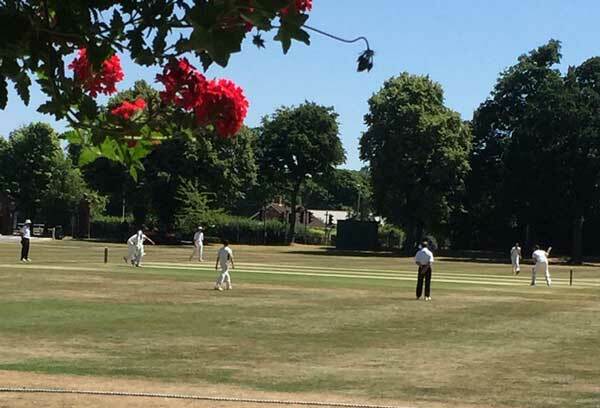 Blue Coat Cricket Week 2018 started off with the Daniels Cup (School v Old Blues) match, which had been revived after two years off the fixture card. It was a beautiful day and the Old Blues brought a good squad. The School batted first and scored 197 off 20 overs; Greatwood top scoring with 50. After an extended lunch break to watch the England World cup match and enjoy a superb hog roast lunch put on by the Old Blues, the alumni set about their task. 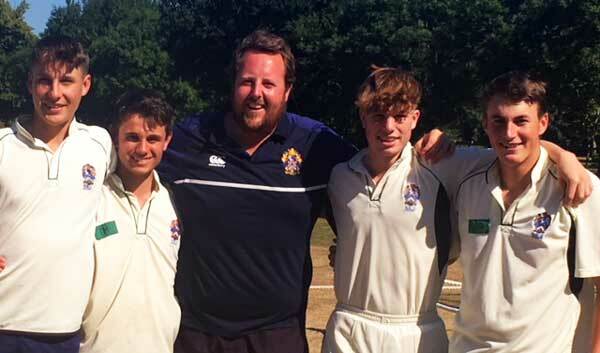 Some generous bowling and fielding allowed them to keep up with the rate and left them needing four off the last ball, but the school held their nerve to win by three runs. Moment of the day was when Smart hit his brother Matt’s first two balls of the game for six and was then bowled by him on the last delivery. 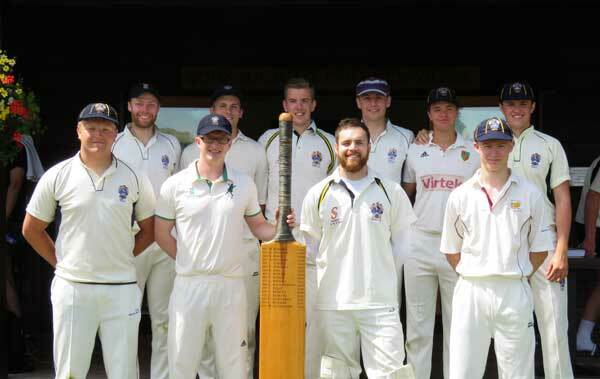 On Monday, we hosted our annual T20 festival, which is often the highlight of the week. Eight teams participated this year. Chasing 197 against Aylesbury Grammar School, we ended up six runs short. 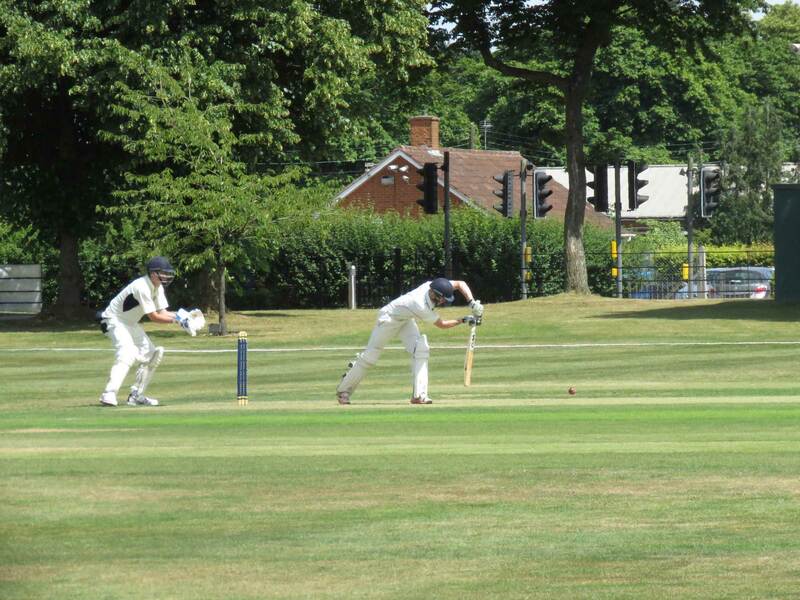 Highlight of the day was Greatwood’s 111* to take us within winning distance. A jaded team tied with Reading School in the second game before comfortably beating Forest in the last, with Hill scoring 70 and Price 49. 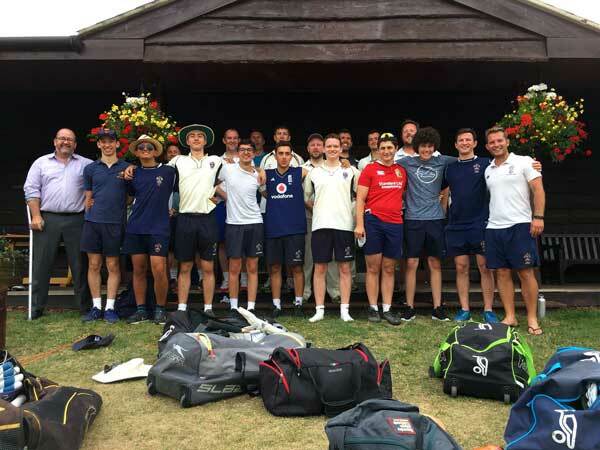 Tuesday saw the 1st XI take their now annual trip down to Horsham to play Christ’s Hospital School, famously Blue Coat’s founder, Richard Allworth’s, former school and where the pupils still wear the traditional blues as uniform. A beautiful setting and important toss to win saw us batting first – with Hill (47) and Perkin (23) putting on 48 for the first wicket. At lunch, we were well placed at 115-3 off 25, but unfortunately tight bowling and eagerness to accelerate saw us bowled out for 174. Buoyed by the introduction of a couple of new games in the field to help keep the spirits high, the bowlers gave it a good crack, with Harris taking two and Smart and debutant Le Fleming taking one a piece as ultimately Blue Coat lost by six wickets. On the same day, back at school, the U12A secured the County Cup final with a good three-wicket win over Claire’s Court. Wednesday brought a new fixture for the week and an experience the boys playing in the match are never likely to forget. 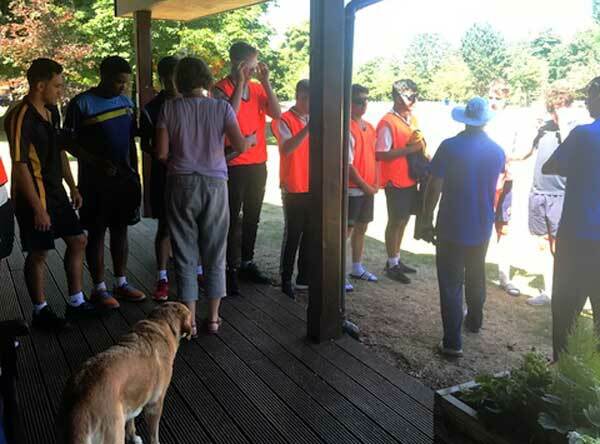 The visitors were the Berkshire Visually Impaired Stags who challenged the boys to a game of VI cricket. The fundamental differences being: 1. the stumps are bigger; 2. the ball is the size of a small football and has ball bearings in it and can bounce twice for some batsmen; 3. our fully sighted players were wearing goggl es giving them different levels of sight, ranging from tunnel vision and blurred sight to fully blind. The teams were mixed and the game was brilliant, with Hill (wearing fully blind goggles) – needing eight to win off the last ball (the totally blind get double runs, so a four to win) – played three shots before the ball had got to him. The boys thoroughly enjoyed their experience and were humbled by the talents of their opposition. Hopefully this fixture will continue to go ahead. On the same day, the U13s won the Reigate Grammar School six-a-side tournament; they remained undefeated all day and were comfortably the best team at the tournament. Thursday was the big one: Staff vs Leavers. A buoyant staff team fielded first and managed to restrict the leavers to 135 off 15 overs (shortened so everyone could watch the football). Batting on the smaller 1st XI pitch, the staff reply got off poorly, with me running out the Rev (James Stephenson) and then Mr Morton pulling a Botham to Boycott-esque run out of his captain for six. Mr Seward steadied the ship with Mr Nash Wortham and the staff were victorious off the last ball. Both staff and leavers enjoyed a fine BBQ and the football together. Friday brought the MCC to town and resulted in the best win in my time at RBCS. The game ebbed and flowed and the boys ground out a well-deserved win that took the game down to the wire.